UPDATE 2/07/2019: The track layout image has been updated with better detail and the embedded video replaced with a new one below. If you’ve been following my videos and articles since last year, you may have seen me mention the possibility of a new roller coaster being considered for Universal’s Islands of Adventure. 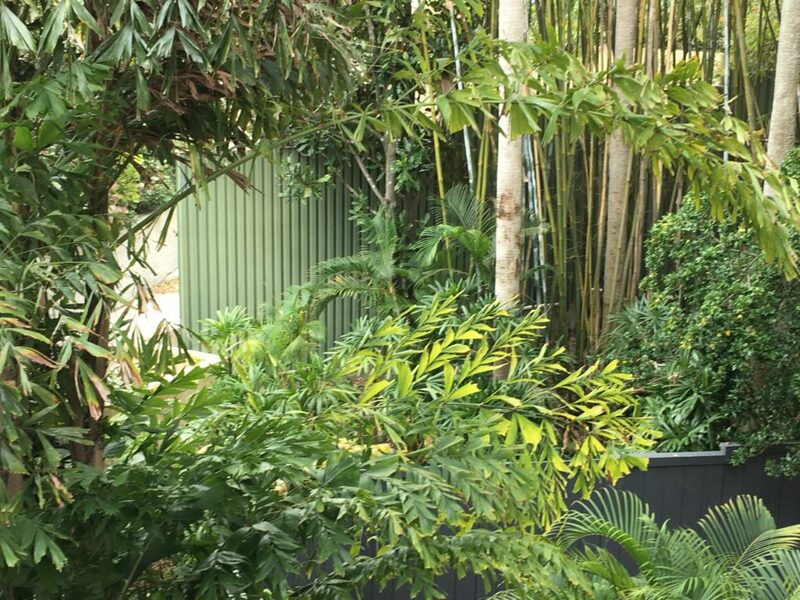 The new coaster has been rumored to be built inside of the Jurassic Park land of the park. This month we’ve started to see work walls go up, confirming our suspicions for a new addition. 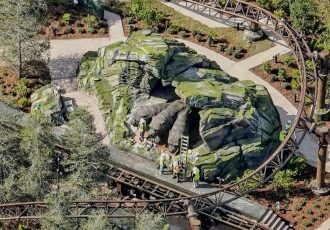 Today, I’m happy to share some new rumored information, a proposed track layout, as well as other new details, including permit information obtained by Chip Skambis of WFTV. 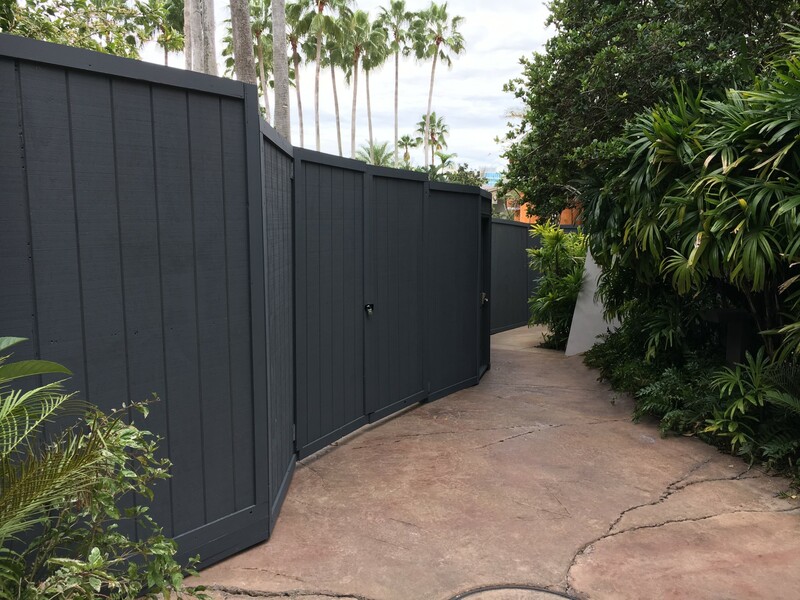 This week, work walls went up around several areas inside the Jurassic Park land at Islands of Adventure. One of the first sets of walls went up around the carnival skill games in the area. 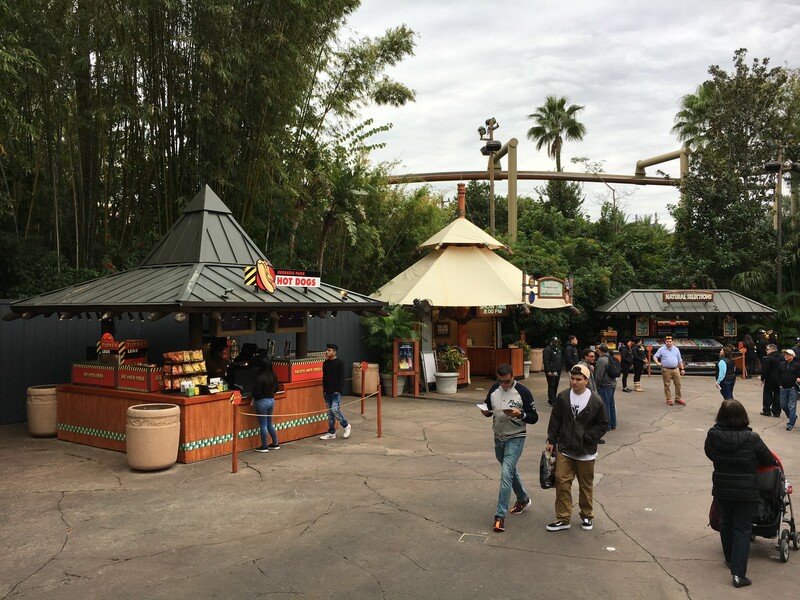 As I’ve stated in my latest video, the games will need to be moved to make way for the relocation of the popular Raptor Encounter. 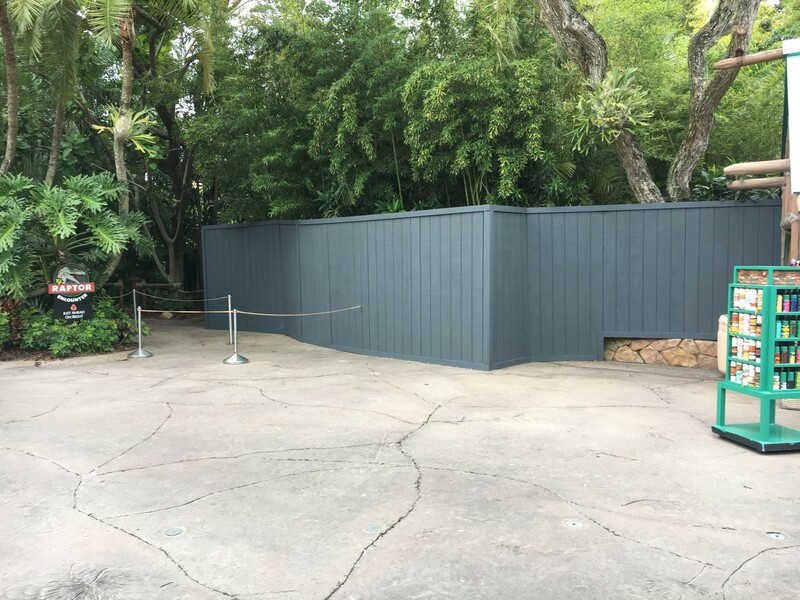 Once the Raptor Encounter has moved, demolition of the old Triceratops Encounter plot can begin, where much of the new ride will take place. See the full description for the proposed new coaster as well as a photo update from the area below. From the proposed track layout above, we can see that the main queue, maintenance areas, and a good portion of the ride will take place in and around the old Triceratops Encounter plot. That walk-through attraction closed permanently nearly a decade ago, and much of this land has sat unused until now. 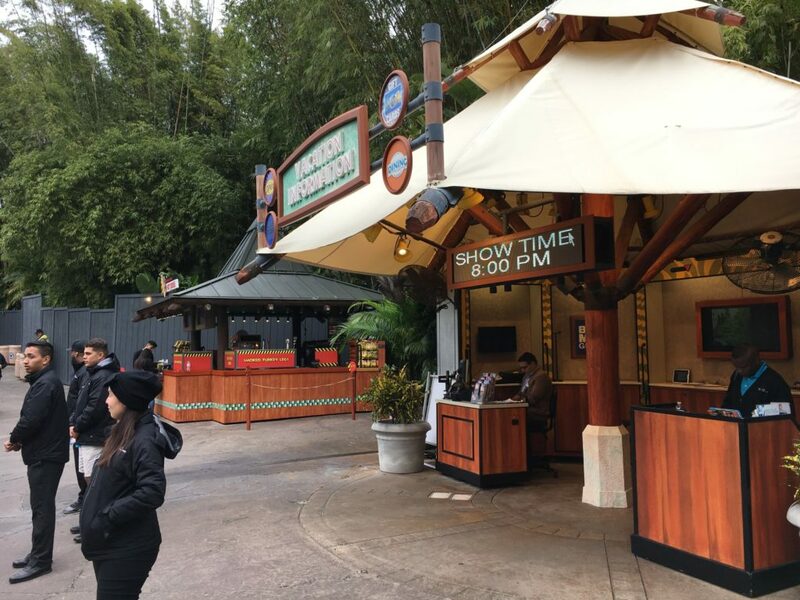 The new coaster’s queue entrance appears to be down in front of the Discovery Center, with some queue along the waterfront. A section of the track will pass in front of the Discovery Center, make a large rotation, before returning across the lagoon. 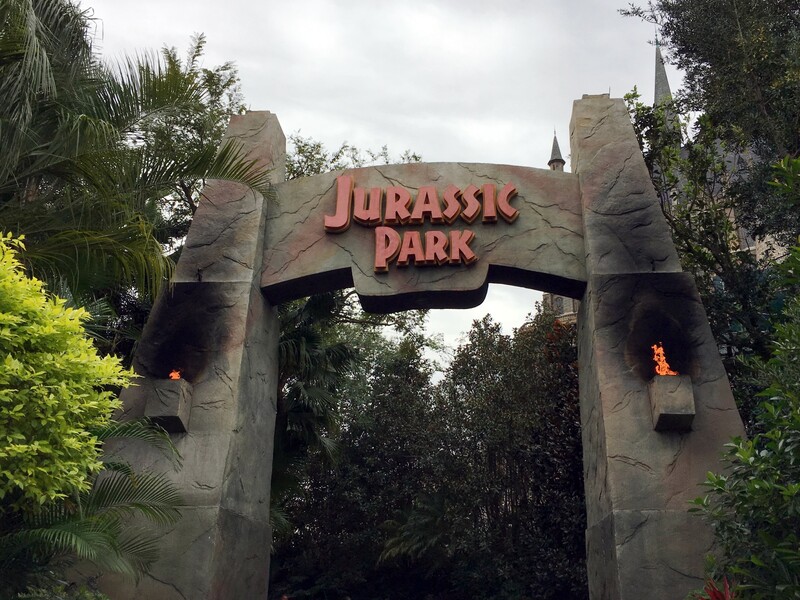 Rumors for the new attraction say that it could contain themed elements related to the raptors from the Jurassic films. 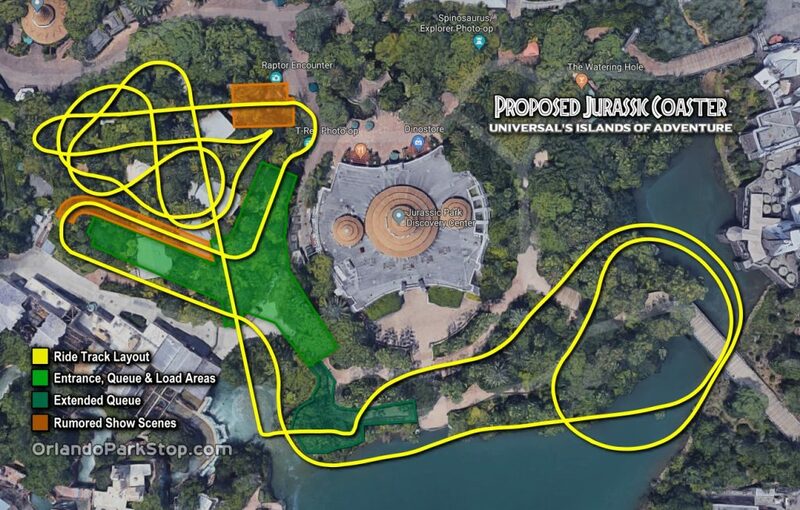 It’s possible that the area I have highlighted in orange on the layout image could contain a sort of show scene, maybe featuring a raptor paddock? 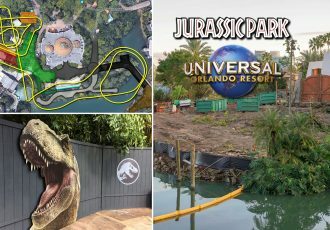 It is not known yet whether this attraction will be based on the original Jurassic Park film or the new Jurassic World movies. Although, it seems like a complete re-theme of the land from “Park” to “World” may eventually be inevitable. More info on that rumor as it develops. As we’ve discussed before, the new coaster is rumored to be manufactured by Intamin, the same company behind the new Harry Potter themed coaster opening later this year. 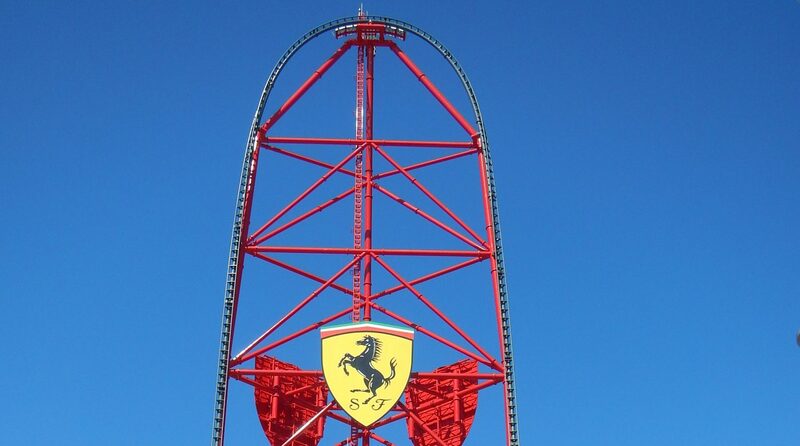 It has been rumored to be the fastest multi-launch coaster in the world, beating Taron by a couple miles per hour, which tops out at 72.7 mph. Taron also holds the record for the longest multi-launch coaster in the world at 4,330.8 ft. No word yet on whether the Jurassic coaster will beat that record as well. Check out the video above for more details on what the ride experience for this coaster may be like. To get this new coaster off the ground, they must first make many small changes to the area. Some of these changes have already been going on in recent months. 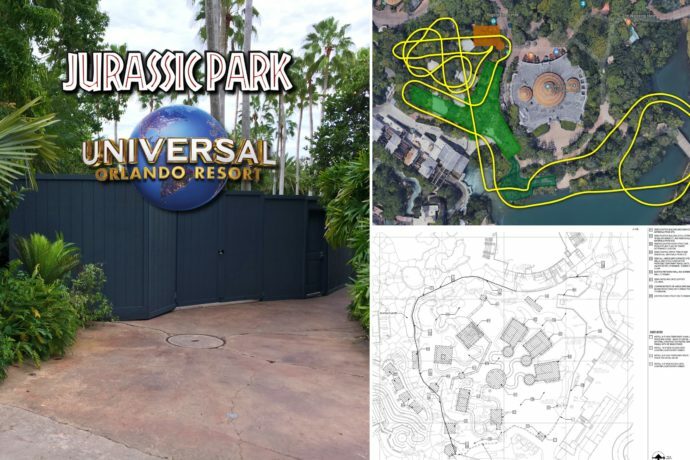 According to demolition permit (above) acquired by Chip Skambis of WFTV, we can see that the Jurassic games and nearby kiosks will be either relocated or demolished. Also, all of the old Triceratops Encounter barns and other structures will be completely demolished. 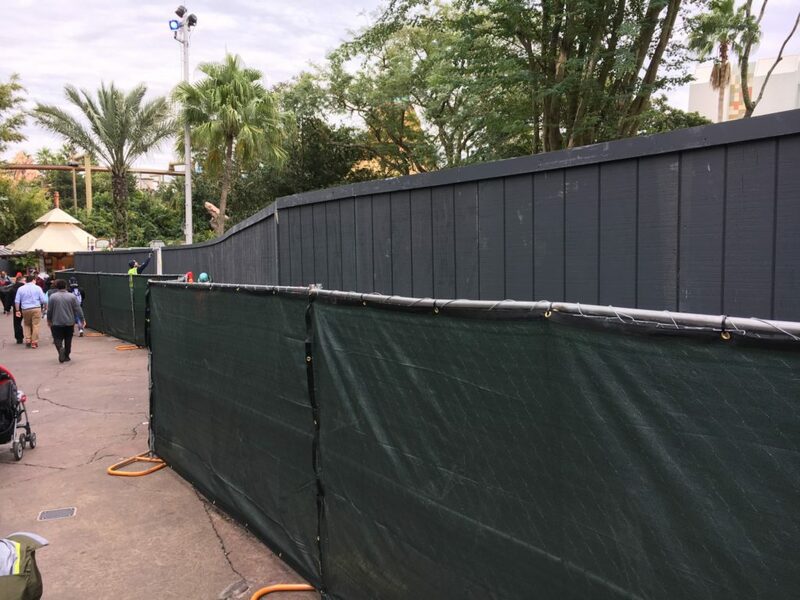 Work walls have already started to go up around the Triceratops Encounter area, as well as down by the waterfront in front of the Discovery Center. This is all in line with the demo permits, and will keep guests away from the active demolition and future construction. 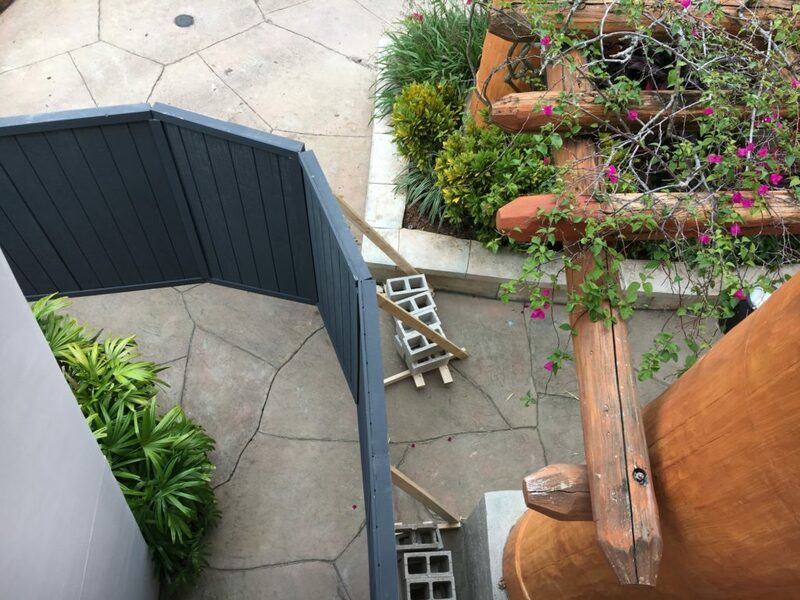 As of now there is no longer guest access to the waterfront area near the Discovery Center. The interior of the Discovery Center, both downstairs and upstairs, is still currently open to guests. And it is worth noting that none of this demolition or future construction will affect the operation of the Jurassic Park River Adventure (which will reopen January 25th after its yearly refurbishment, unrelated to this project). 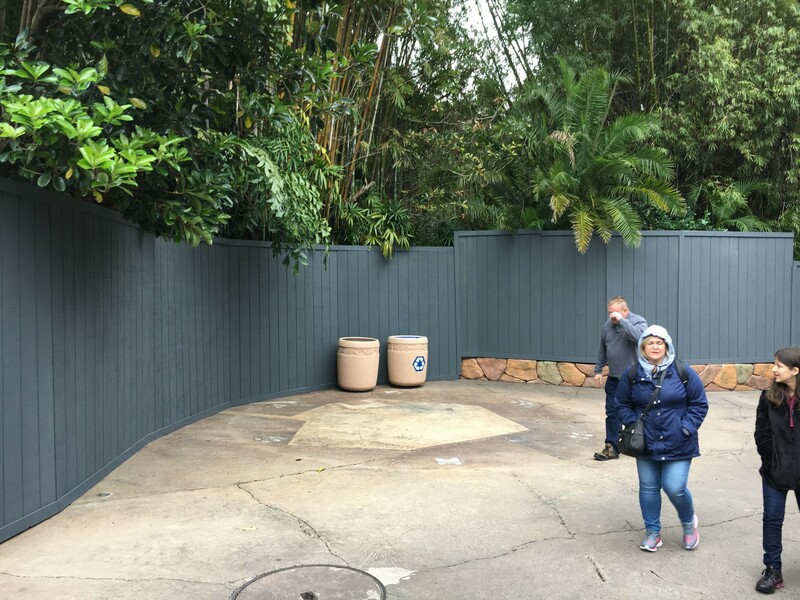 On the other side of the walkway, walls are starting to show up around the old Triceratops Encounter plot. 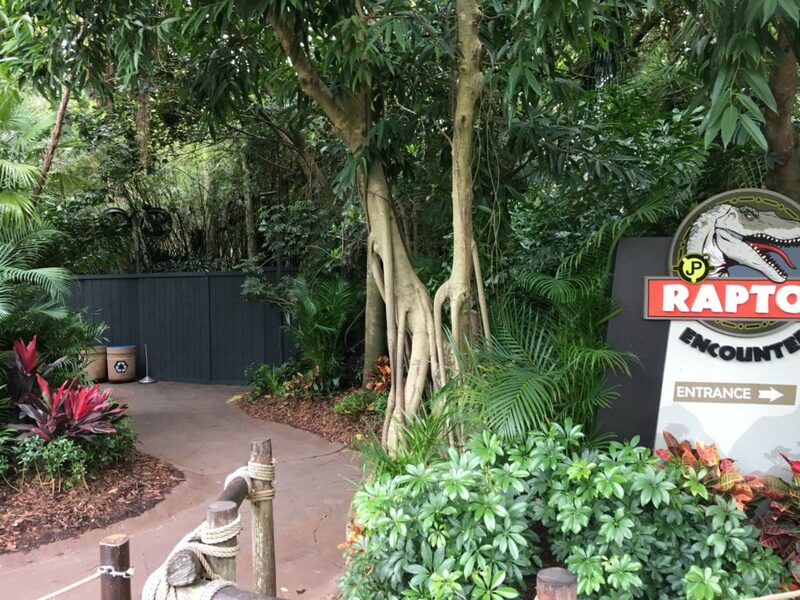 Once the games are moved out of the way, they will build a new home for the popular Raptor Encounter on that side of the path, across from its current location. One kiosk has already been moved. 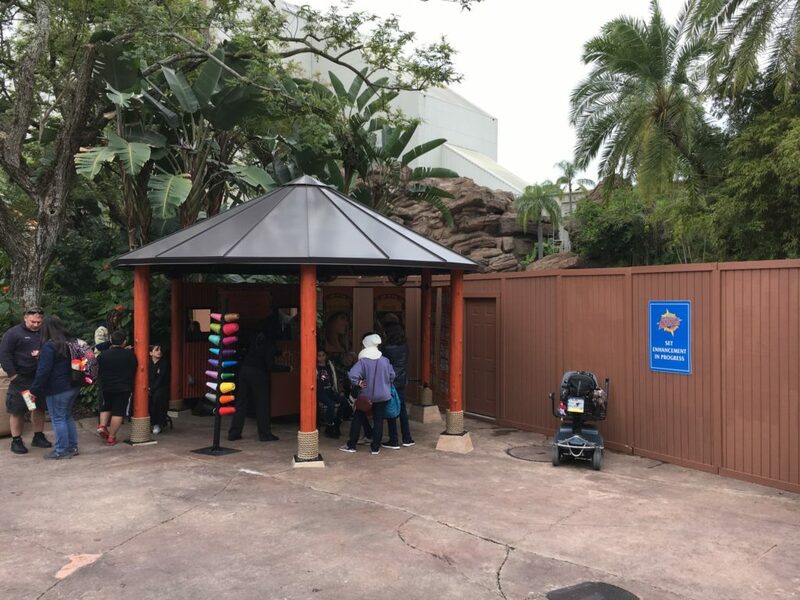 The hair wraps kiosk was moved recently near the splashdown zone for River Adventure. It used to be located across from the games. 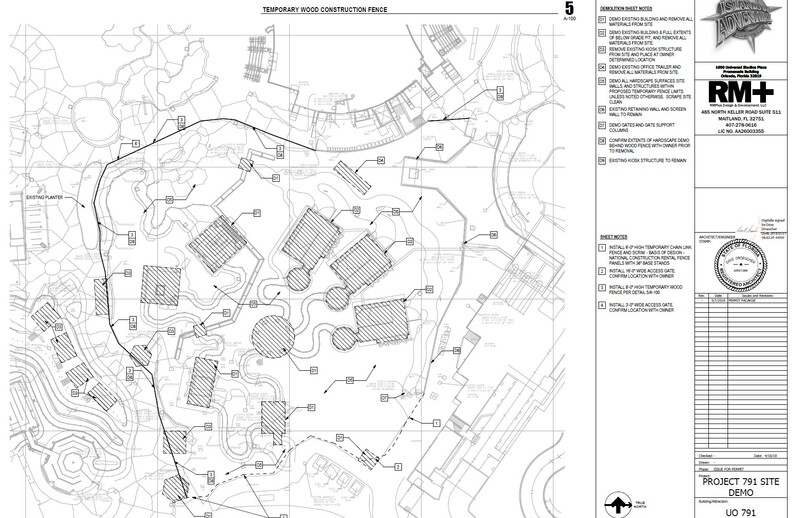 Its former location will be swallowed up by the new coaster attraction’s footprint. 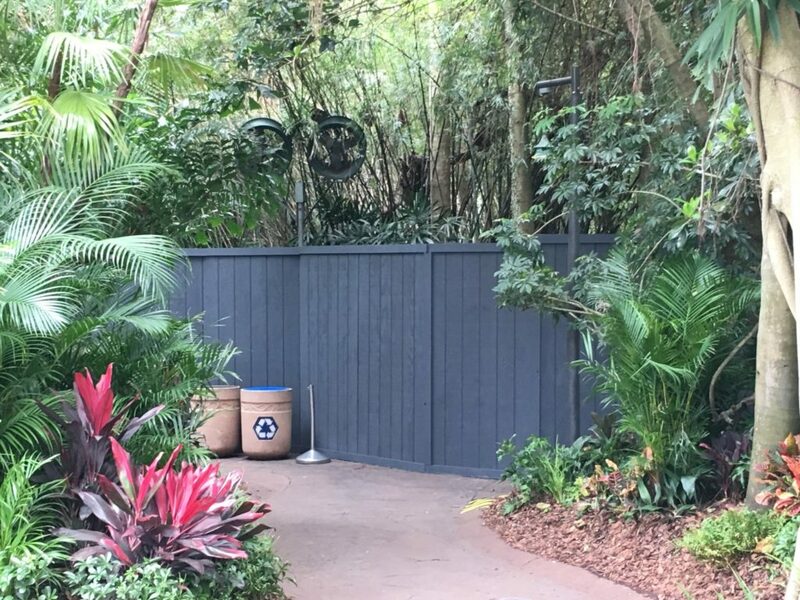 Part of the queue for the current location of the Raptor Encounter has already been walled off, but the meet and greet is still operating regularly. 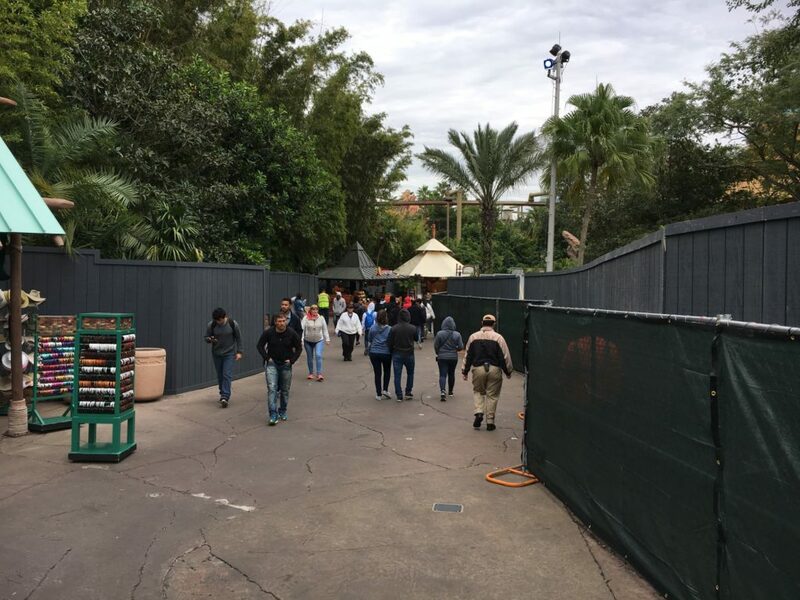 The Raptor Encounter line snakes out into the main pathway since it lost some of its queue area. The Raptor Encounter is expected to move to its new home as soon as next month. If I were you, I would get my last photos with the Triceratops fossil slab. 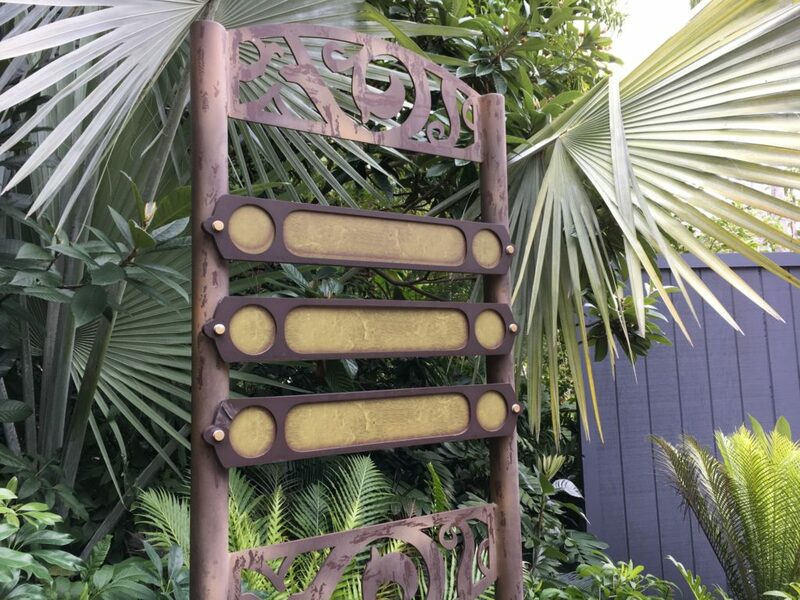 It may be moved to another location around the land, but it will not remain in its current location much longer. It will likely be blocked by work walls when the Raptor Encounter moves to its new home. 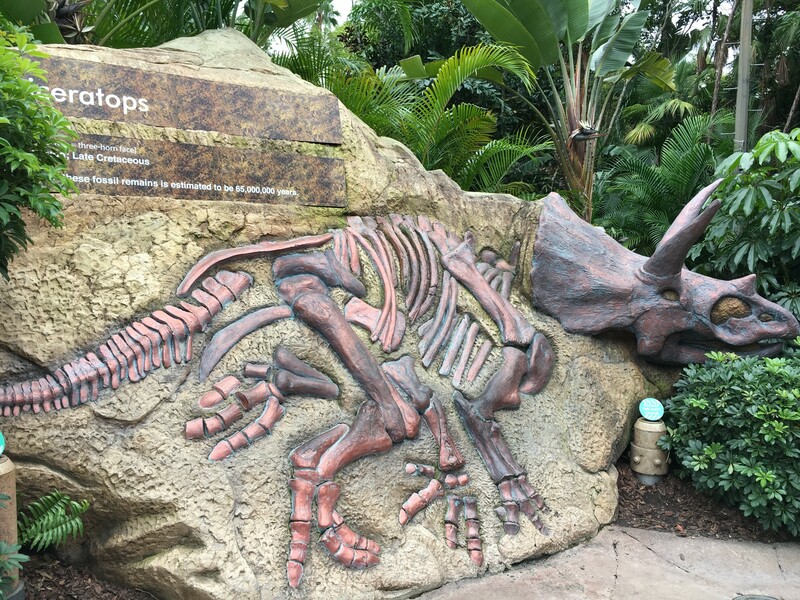 This slab used to be the entrance sign for the old Triceratops Encounter, but once the attraction closed it has remained only as decoration. Moving on, down to the front of the Discovery Center. The following images were taken by walking along the left side of the Discovery Center, down towards the waterfront. The walkway is located between the Coca-Cola Watering Hole and Burger Digs. Down here we can see the work walls blocking us from walking all the way down to the waterfront. 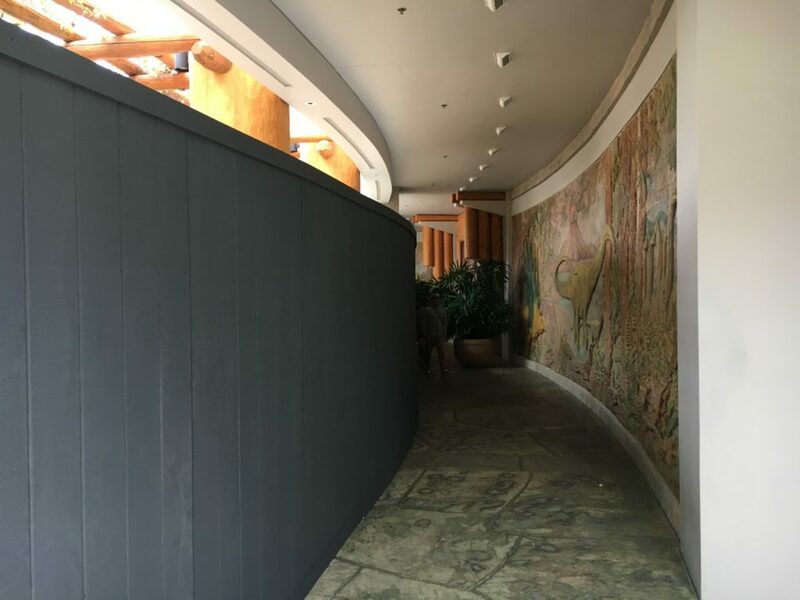 On the left, the bypass bridge to Lost Continent will close January 22nd, and will remain closed for both guests and Team Members until later this summer. No word on whether the bridge will be re-routed to accommodate the new coaster. The directional sign down here has been wiped of all words. It used to direct guests to the Discovery Center, designated smoking area, and waterfront viewing. 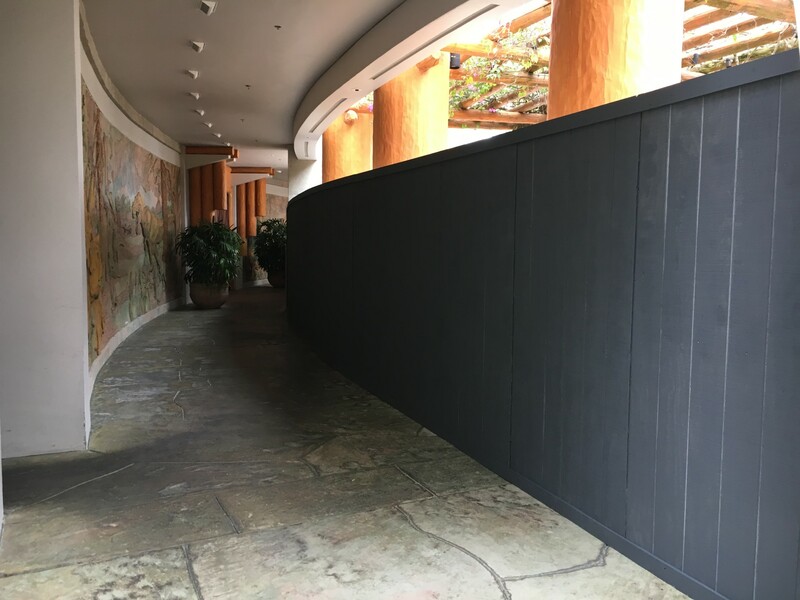 Guests are currently still able to walk to the front entrance of the Discovery Center, along the work walls, even though guest access to the waterfront area is blocked off. 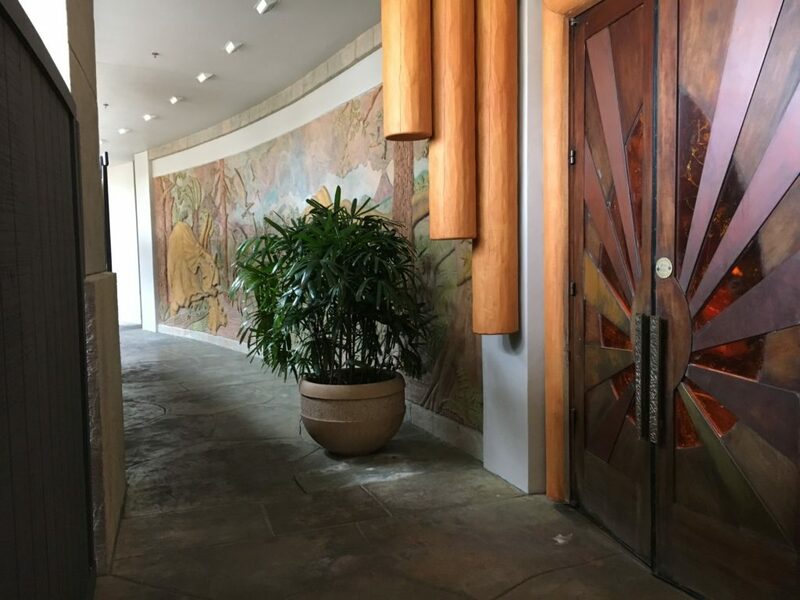 There is just enough room to walk along the front of the building and enter the Discovery Center’s main doors. 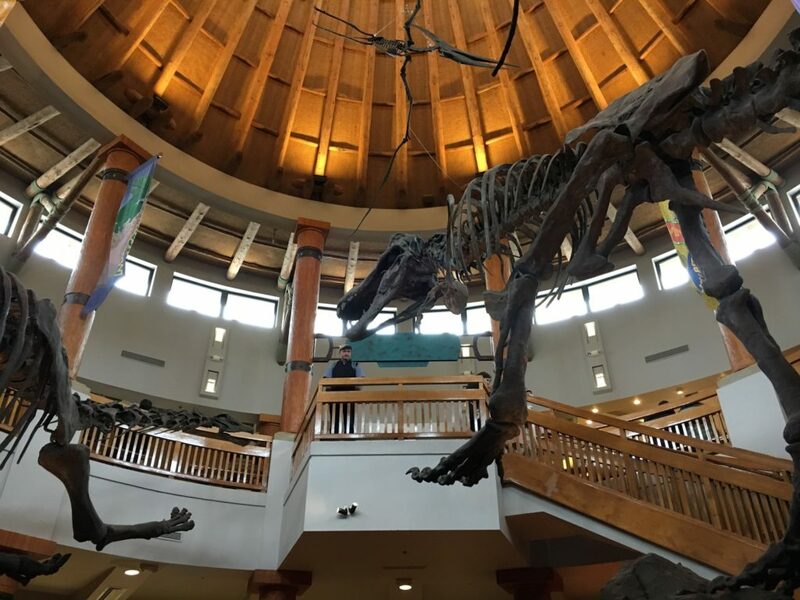 The interior of the Discovery Center is currently open, and is expected to remain open for the time being. You can also go upstairs and out onto the second floor balcony, which gives you a great view of the now inaccessible waterfront area. You can see behind the waterfront work walls from the second floor, for now. 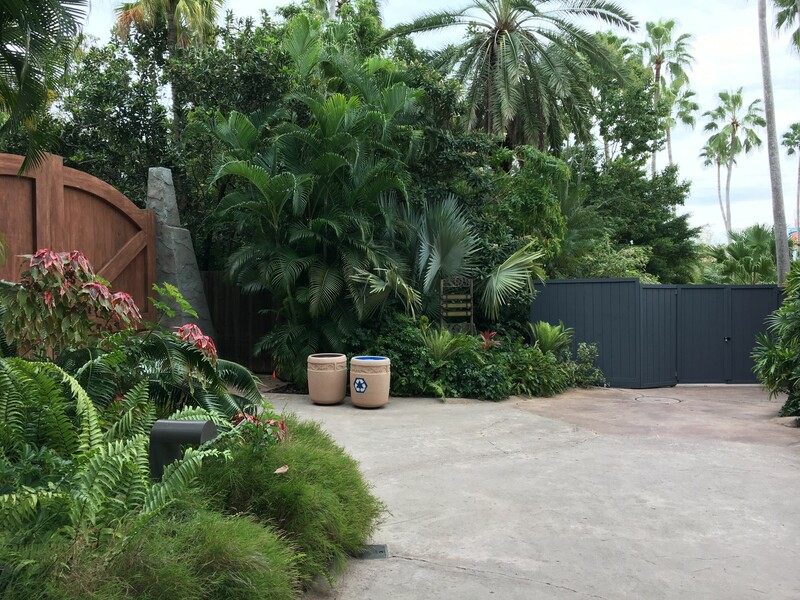 And let’s take a quick look towards the backstage gate down by the waterfront, now closed for Team Members as crews move in to demolish the old Triceratops Encounter area. 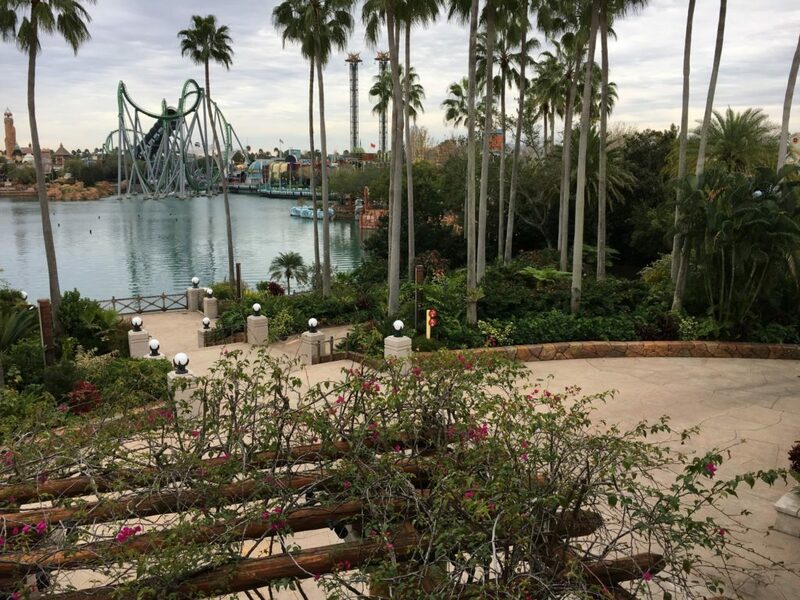 It is not known yet when the new coaster will be completed, and Universal Orlando has yet to confirm that such a project is even underway. Rumors have the new ride opening by the summer of 2021 at the latest, which is when the next Jurassic World sequel is set to hit theaters. Although, according to documents obtained by Chip Skambis of WFTV, it’s estimated that construction will only take 1 and half years. 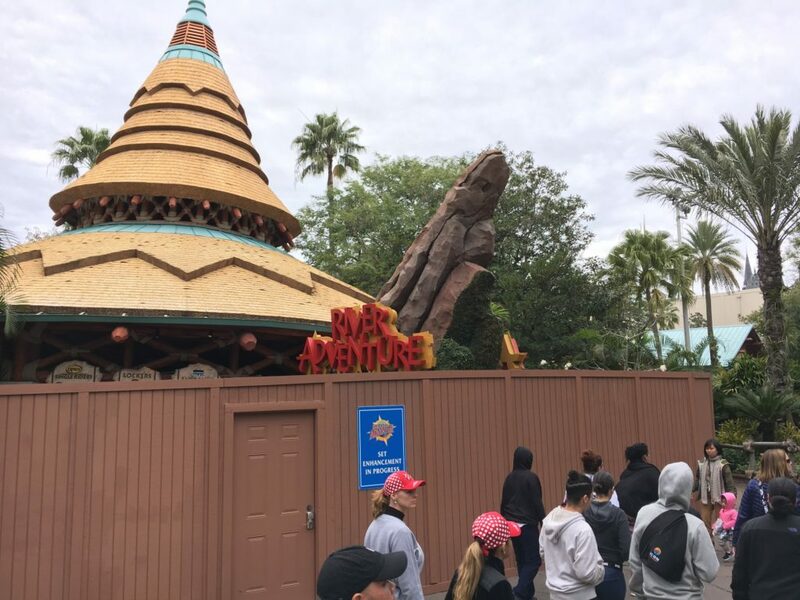 It’s entirely possible that if the Jurassic World re-do of the River Adventure ride in Hollywood is a success after opening this year, a similar re-do of the Orlando version could be timed to open around the same time as this new coaster. 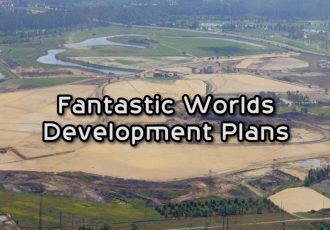 We will discuss the possibility of the land becoming a Jurassic WORLD land in more detail at a later time. What do you think? Are you excited for a new thrilling high-speed launch coaster to be built inside of Islands of Adventure? 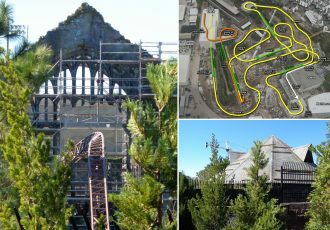 What do you think of the proposed track layout for the ride, and what would you like to see on the ride? For more details on the new rumored coaster, check out my new video or our recent podcast episode for an even deeper dive into the subject. 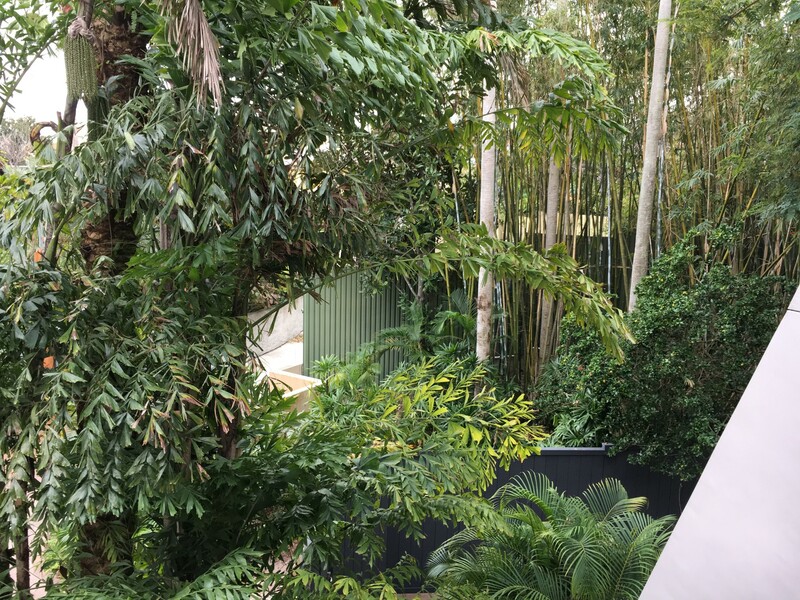 If you’re thinking about booking your next trip to Universal Orlando, be sure to request your free vacation quote from our good friend Elizabeth at Destinations in Florida. She can help you get the best deals on tickets, your on-site hotel room, and more – and her services are completely free! Looks like Universal is aiming to please the diehard coaster thrillseekers again with yet another new project. 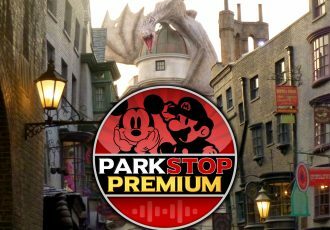 I loved going to both Universal parks a couple years ago enjoying the Worlds of Harry Potter , Jurassic Park and Studios even without doing the coasters or 3D rides. I’m concerned Universal will be narrowing their audience if they keep going in this direction. Hopefully it opens by October of 2020. That’s when we’ll next visit. If it is only going to take 1.5 years, then it should be open by then. Also, Universal won’t want to open anything new in 2021. It would be a waste of good marketing PR. Disney will be maximising DW’s 50th Anniversary then, and anything that Universal opened world just get swallowed up.